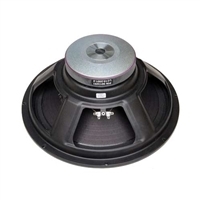 When it's time to replace your 15" speakers, check out the selection available from P Audio. They have a complete line of 15" speakers - from economical replacement 15" woofers to massive high-power 1000 watt subwoofers with 4.5" voice coils. You can easily find exactly the right speaker for your cabinets. Some are even available with light-weight neodymium magnets that pack quite a punch! Check them out now!